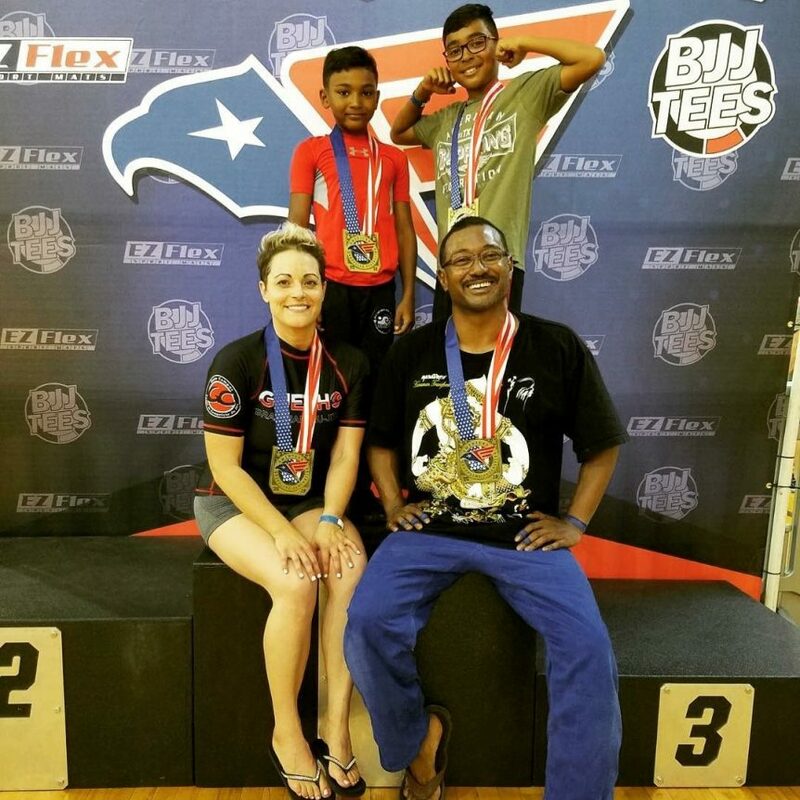 The bond of a parent and child is a special thing, and training martial arts with your child presents a unique opportunity to strengthen that bond in ways that are not available in other sports. Training martial arts presents the chance for you and your child to start a sport and grow together while training. Starting as a beginner grants the opportunity for you and your child to start a journey from the very beginning and tackle the challenges and obstacles together. This is uncommon in other sports or activities because it is very rare that a parent and child have the chance undertake an activity that is new for both. Training will present many lessons and obstacles that are both challenging and rewarding. There will be days where laziness sets in or fear of failure saps your motivation, but these obstacles are more easily overcome when the burden is shared between you and your child, no less! This is where parents can more correctly understand and relate to their child, and the child can trust them knowing that the parent is experiencing the same difficulties. These lessons can be difficult, but having a parent to rely on who is undertaking the same daily challenges as their child creates understanding and establishes a teammate. If nothing else, it gives you a chance to not only watch your child grow in their confidence, self discipline, or ability to defend themselves, It allows you to take an active participating role in it. The time your able to spend growing, learning and relating to with child through training is paramount. It grants the opportunity for you to spend quality time with your children and enjoy the special moments that will come through dedicated training. Promotions, competitions, victories and defeats are all shared and understood much more intimately when you are apart of the process. 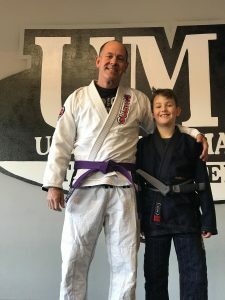 Here at United Martial Arts I have been witness to many parents who train with their child and seen first hand the strong bonds that have been forged through the fire of martial arts training. Kim and Marcus Hamilton have been training with their children for over 4 years. “ As parents, we have tried to lead by example. Through our training we are better able to understand the frustrations and hardships that come with learning something challenging, but we also never ask them to do something we aren’t willing to do. Jiu Jitsu and Sanda has brought us closer and made us stronger!” says Kim. 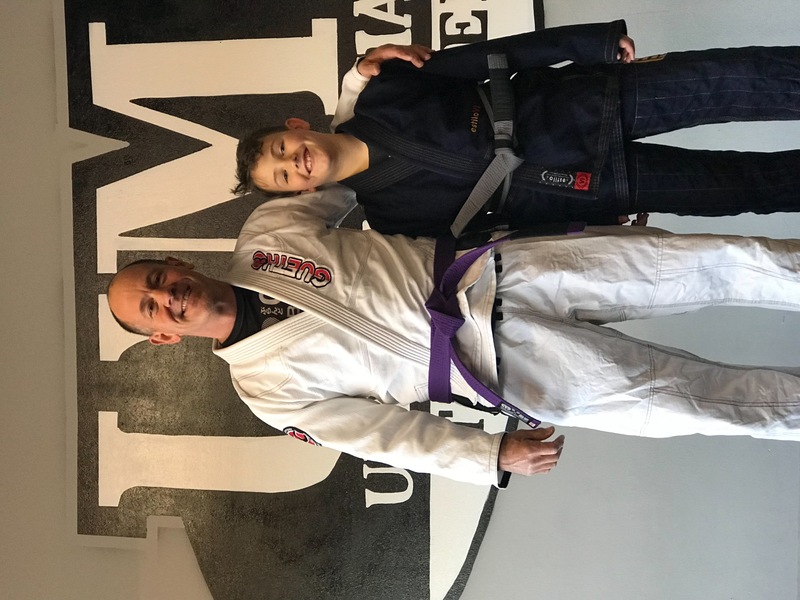 David Calander and his son Jack train together as well, “ Here at UMA we are able to learn something together and enjoy our time while we also learn valuable life lessons.” Whether it be Sanda or Brazillian Jiu Jitsu, the results are always positive and encouraging. I truly believe it is a extraordinary tool to implement when raising your children and teaching them valuable life lessons. I plan to follow the example set by many of the parents here at UMA, and I suggest you investigate taking a trial class at your local marital arts school as well!